This isn’t a review. It’s more of an adieu (hmm, there’s a song there, somewhere). It’s my farewell to John Verdon’s Dave Gurney series. I’d been concerned about the increasing levels of political messaging in the books. Not that I think that’s a sin – I’m an ideological writer myself. But I know I’ve lost readers because of the opinions I’ve embedded in my books. In the same way, John Verdon has lost me. I didn’t get far into White River Burning, which centers on the murder of a policeman in a city torn by riots similar to the Trayvon Martin unrest. It didn’t take many pages before we were treated to a scene where a “commentator” on the RAM News Channel (which seems to be a surrogate for FOX) engages in open white supremacist rhetoric. I can understand how a leftist might think that FOX is a forum for neo-Nazis fresh out of their white sheets. FOX is often criticized as racist by the left, but this is because leftists generally believe that all conservative opinions are racist. It isn’t surprising that author Verdon might think you can turn on FOX on any given day and hear its commentators calling for, oh, a return to Jim Crow and revived miscegenation laws. But it’s not reality. And at that point I couldn’t overlook the political passion of the author. I wish him well, but I’m confident he doesn’t want my business. I continue my trek through John Verdon’s Dave Gurney mysteries, continuing the adventures of the retired NYPD detective retired to the Catskill Mountains. 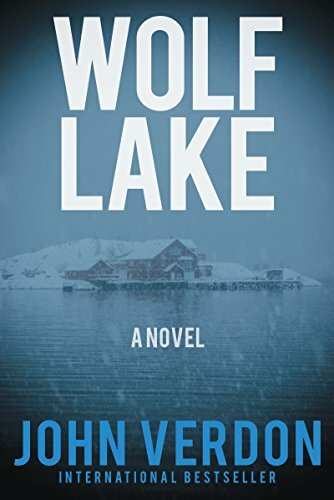 In Wolf Lake, Dave and his wife Madeleine are headed for a week of snowshoeing in Vermont, when he is asked to look into a mystery at Wolf Lake lodge, which is located more or less on the way. He almost begs off for Madeleine’s sake, but – uncharacteristically – she encourages him to make the detour. There they meet Richard Hammond, a psychiatrist famed – and notorious – for his experiments with hypnotism. He had been living at the lodge at the invitation of its wealthy owner, but now that owner is dead by suicide. On top of that, three other men have committed suicide in various places around the country. Each one was treated for cigarette addiction by Hammond, and each reported having an identical nightmare, before killing himself – also in an identical manner. The local district attorney is building a case against Hammond, for “murder by hypnosis.” The whole thing seems crazy to Dave, and he continues to look for reasonable explanations, even as inexplicable things happen around him, and Madeleine grows deeply troubled but refuses to leave the place. I thought, frankly, that Wolf Lake was a little over the top. Portents in nature, a prophetic madman, a snowstorm orchestrated to raise the stakes in the climax – some of this gets explained, but overall it seemed melodramatic to me. And the solution seemed contrived. Also, author Verdon appears to have grown more comfortable expressing his politics in his books. The evils of homophobia underpin a lot of the narrative. I’m reading the next book, but I’m not sure I’ll finish it. I’ve liked the Dave Gurney stories, but a little more politics will put me off them. Cautions for language and adult themes. At times like this he always recalled, uneasily, that everyone on earth at a particular latitude sees the same stars in the sky. But no two cultures see the same constellations. He’d seen evidence of the phenomenon again and again: The patterns we perceive are determined by the stories we want to believe. 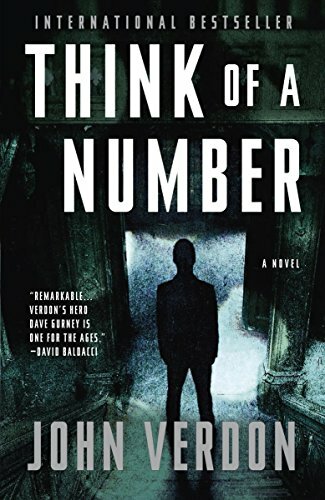 Another novel in John Verdon’s interesting – and somewhat disturbing – series of mystery-thrillers starring David Gurney, retired NYPD detective. Now living with his wife on a farm in the Catskills, he keeps getting diverted from the peaceful, pastoral pursuits she prefers to various murder mysteries that people bring to him. At the beginning of Peter Pan Must Die, Dave gets a request for help from his friend Jack Hardwick. It’s really more than a request, and his relationship with Jack is more complex than ordinary friendship. A constitutional rebel, Jack has helped Dave in previous cases by passing him information civilians shouldn’t get access to. Now Jack is calling his favors in. He’s been fired from the state police and has set up as a private investigator. He’s got a big case on the line, and needs “famous” Dave’s participation to close the deal. Jack’s client is the wife of Carl Spalter, a hard-driving real estate tycoon who was running for governor. Spalter was shot fatally by a sniper during his mother’s funeral, and the wife was convicted of hiring the assassin. She thinks – and Jack agrees – that the defense was incompetent and the prosecution corrupt. All they need to do is identify the holes in the prosecution case, inform her new attorney, and bank their payment check. But that’s not enough for Dave. What obsesses him is the solution, what really happened. As he examines the evidence, he discovers that the murder shot could not possibly have been fired from the spot which ample evidence shows the killer must have used. That’s only the first of the conundrums that will fuel his obsession and ultimately put him in conflict with – very possibly – the most dangerous human being he has ever encountered. 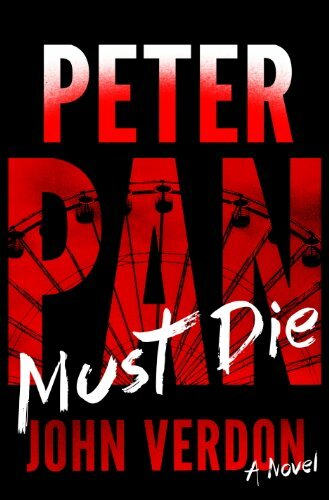 Like all the books in the Dave Gurney series, Peter Pan Must Die was fascinating and engrossing. But there’s something more – an unease, the constant dissonance in Dave’s marriage and the underlying knowledge that something is seriously wrong with Dave. He analyses everything except his own heart, and is blind to the subconscious urges that force him to put himself – and often the people he loves – in danger again and again. Cautions for language, adult themes, and intense situations. Highly recommended if this is your sort of thing. The final twist is pretty good too. I continue to work my way through John Verdon’s very satisfying (to me at least) series of Dave Gurney mysteries. Dave, as you may recall, is a decorated New York police detective, retired. Now he lives on a farm in the Catskill Mountains with his wife Madeleine, in a relationship both loving and full of tension. She loves nature and growing things, and “lives in the moment.” He never feels alive unless he’s solving a complex murder mystery – which is why his retirement has involved one unofficial investigation after another, often stepping on the toes of the real authorities. To begin with, they occupied radically different boxes on the Myers-Briggs personality grid. His instinctive route to understanding was primarily through thinking, hers was through feeling. He was fascinated by connecting the dots, she by the dots themselves. He was energized by solitude, drained by social engagement, and for her the reverse was true. For him, observing was just one tool to enable clearer judging; for her, judging was just one tool to enable clearer observing. 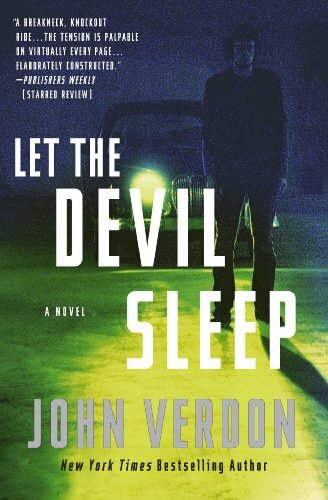 I’m truly enjoying John Verdon’s series of mystery thrillers starring David Gurney, retired New York police detective now living in the Catskills. Shut Your Eyes Tight is as good as Think of a Number, which was very good indeed. In this adventure, David is contacted by a very rich and beautiful – and dangerously crazy – woman, whose daughter has been murdered. The young woman was beheaded in her wedding dress, on her wedding day. All clues point to an enigmatic “Mexican gardener” who worked for her fiancé (a prominent expert on child abuse) and who has disappeared. But the clues at the scene are confusing, and the police are making no progress. Find my daughter’s killer, the woman tells him. I’ll pay you anything you ask. Despite his wife Madeleine’s misgivings, Dave throws himself into the case. In so doing he will run the risk of losing both his reputation and his life, and put Madeleine in danger as well. In order to solve the case he’ll need to reexamine all his presumptions, to overcome a master of two skills of which he thinks himself the master – misdirection and deception. The ongoing tension between David and Madeleine lays a foundation of unease that permeates the story and makes it irresistible. It would have been easy for author Verdon to make Madeleine simply a wife who “doesn’t understand,” trying to turn David into something he’s not. But she’s wiser than that. She’s trying to save his soul. She knows that in his obsessive pursuit of solutions to crimes, he’s staring into Nietzsche’s abyss. David has deep unresolved issues, and his detective work is a way of running away from them. On the other hand, he performs a social good, taking monsters off the streets. It’s complicated. And fascinating. Cautions for troubling sexual themes and a good amount of obscene language. 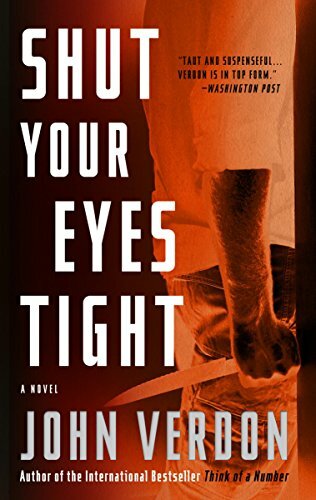 But if you can handle that, Close Your Eyes Tight is a very rewarding read.